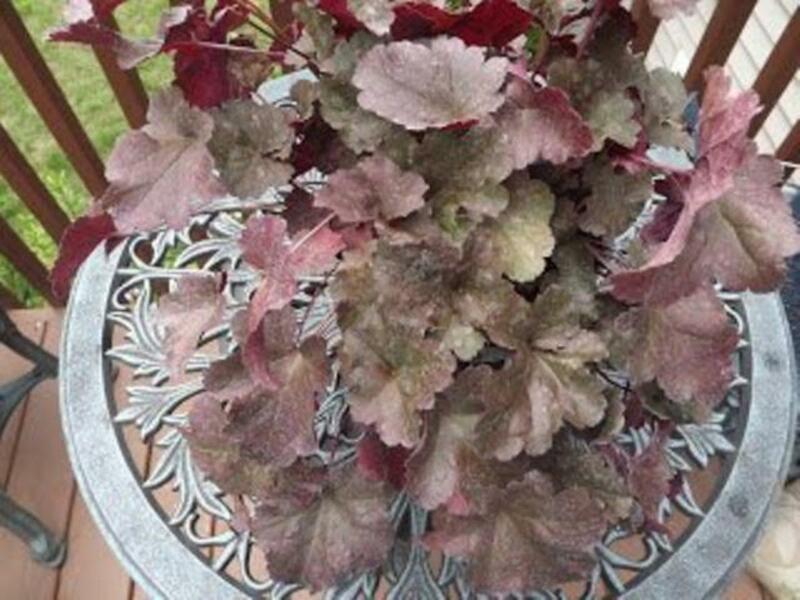 Heuchera have long been known as coral bells because of the tiny red flowers on the top of the plant. With newer varieties, not all blooms are red. Another popular name is alum root. This plant was a favorite in our grandmother's garden and is even more popular today due to all the new colors and leaf shapes. No longer are they just green. Even though the flowers are small, hummingbirds and butterflies love them. 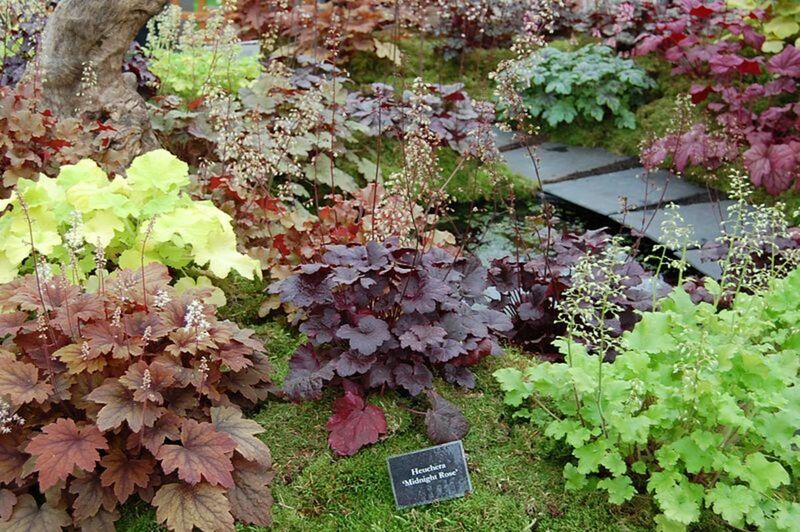 Heuchera are perennial plants, which mean that they will return year after year. Purchasing a plant will provide years of enjoyment. The leaves keep their color even in the cold winters of Michigan. Seeing some color early in the spring is a bonus. Most of these plants will grow in Zones 4 to 9. A few varieties can be grown in the colder areas of Zone 3 and survive the winters there. Others can do well as far as Zone 11. Check the tags on each plant before purchasing. Why Are They Called Such an Odd Name? 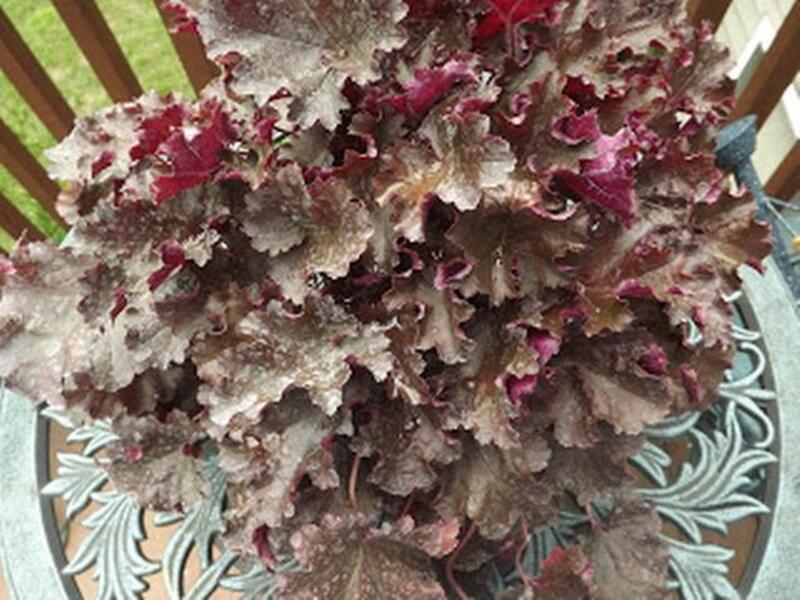 Heucheras are part of the family of plants known as Saxifragaceae. They are natives of the southwestern part of the United States. The genus of plants were named after Johann Heinrich von Heucher, who lived from 1677 to 1746. He was a professor of medicine and botany. Being friends with Carl Linnaeus, who is the man that named most plants, Linnaeus named these plants after Heucher. At one time, all coral bells had green leaves. Next came the green variegated variety. Now you can find the plants in many colors and some even have ruffly or crinkly leaves. 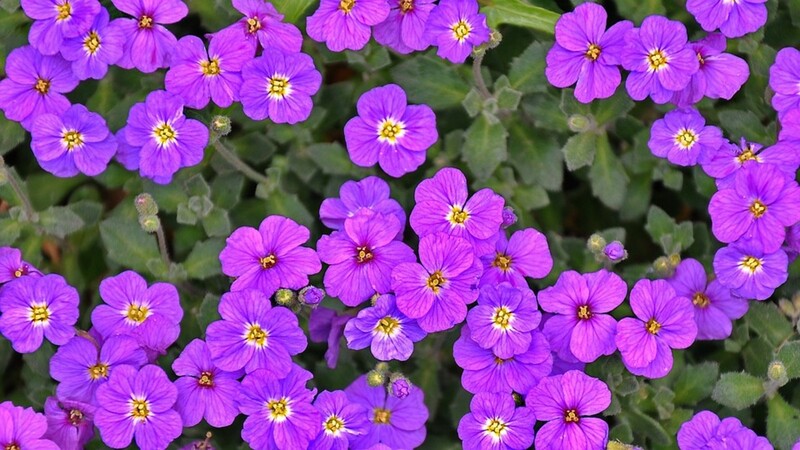 The blooms themselves are small and also are available in different colors. The leaves will be showy for the entire season, so you should make your decision by choosing which variety you'd like from the color of the leaves and shape. Beautiful colors are available. Most plants are only about a foot tall, but the height of the flower stalks can range in size from 12 to 30 inches. If you already know which location you'd like to plant them in, this might help you make a decision. Check it for disease and insect infestation. Look at the bottom of the leaves. If anything doesn't look right on the plant, forget it. The disease can spread to any other coral bells that you have. I've planted mine in the front of a perennial bed where they can be easily seen. The fact that the leaves are so colorful all growing season is the reason I did this. I can enjoy some color before and after the other plants have quit blooming. These plants aren't as picky about sunlight as most plants. Full sun to partial shade will be fine in northern climates. 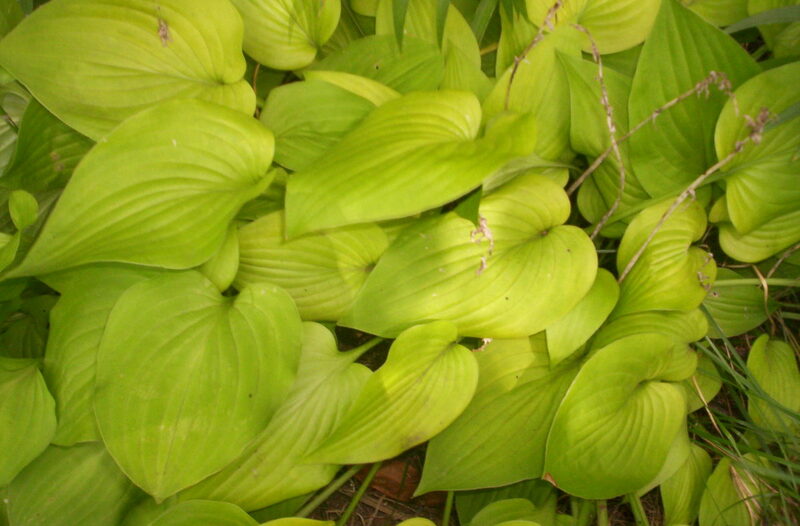 In southern climates, it would be best to plant them in an area with some shade. 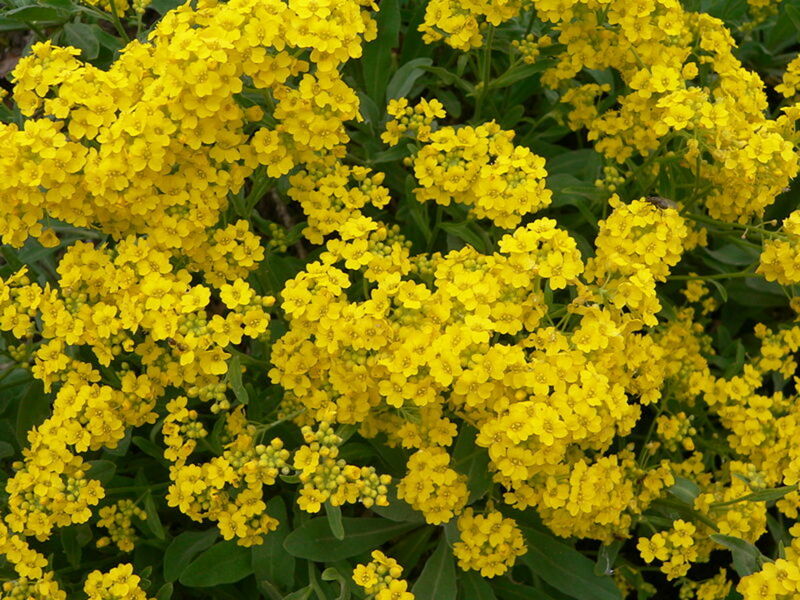 They will work fine in a rock garden, along the front of a wooded area or in the perennial bed. Coral bells do like an area that has moist, but well drained soil. If you plant them where water stands, they will rot. They like a rich soil and prefer it to have a neutral to slightly acidic PH. 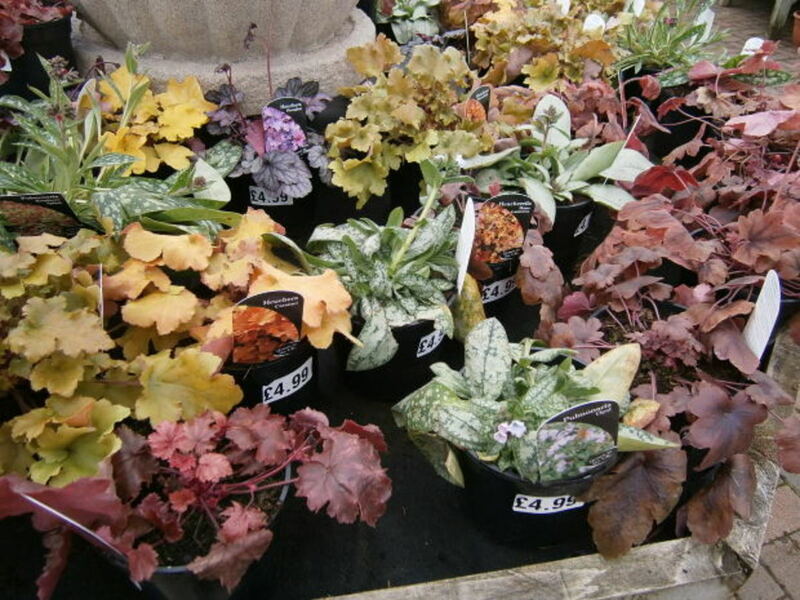 Heuchera grows well in pots if special care is taken. Just be sure to fertilize every spring and keep them watered. Cultivate the soil deeply before planting. The plants do like an area with lots of organic matter. This should be added if lacking. Just use some composted plants or leaves or composted manure. If the soil is highly acidic or alkaline, you'll need to adjust it to a more neutral level. You can do this by adding lime to sweeten the acidic soil or sulfur if it is alkaline. Space the plants at least 12 to 15 inches apart. If it is an extra large plant, provide a bit more space. The roots should be covered and the soil should be just up to the base of the plant, not covering any leaves or covering the crown of the plant. If you purchased your plant in a pot, it should be planted at the same level as it is in the pot. These plants take little care. When we moved, I put one in a pot and didn't have the time to plant it. I placed the plant in a shady place in a woody area in the back of our property and then forgot it. Seven years later, I finally found the plant and moved it. 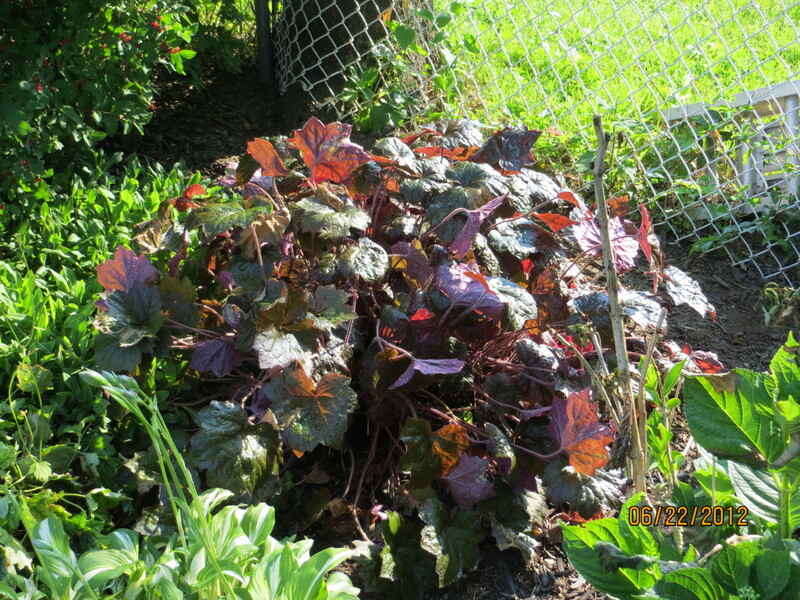 The heuchera survived all that neglect and is now a healthy plant. Many organic gardeners swear by using alfalfa pellets on their heuchera. Alfalfa pellets are a horse food and can be purchased at any farm store. I haven't tried this, but my sister does and she says her plants grow bigger faster and are stronger plants. The problem with using alfalfa pellets is that they are sold in fifty pound bags. These are heavy to lift and you'd need huge gardens to use that much every year. Another problem is that as it decays it doesn't look good. Many solve this by covering it with mulch. A 10-10-10 NPK fertilizer will keep your plants in good shape even if you don't use the alfalfa pellets. Apply it monthly during the growing season. Keep your plants watered at least weekly, but not over watered. If the soil is too wet it can cause rot. 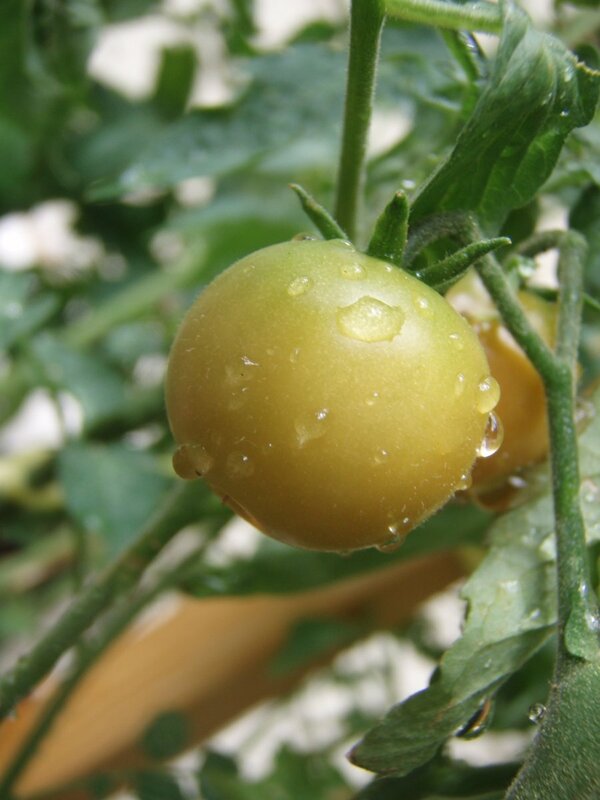 Drip systems work well, because it is best to keep the leaves dry to prevent disease. 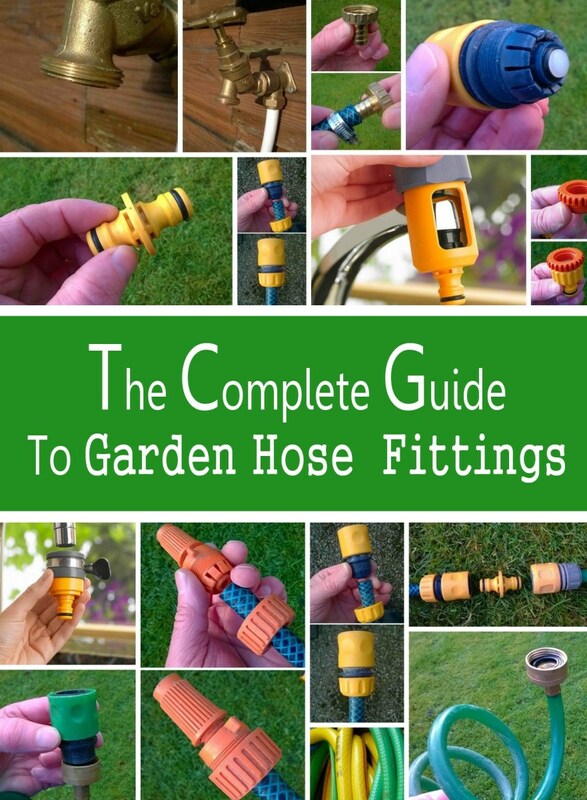 If you don't have a drip system, water early in the morning, so they will dry when the sun comes out. Watch the plant for sun scald. If the leaves become scalded, it should be moved to a cooler, shadier area. If your winter has a lot of thaws, mulching is a good idea. The plant can heave from the ground exposing the roots. In northern areas, it just might save your plant if you have a severe winter. If you would like to keep attracting the butterflies and hummingbirds, keep the flower stalks deadheaded. As soon as the flowers are looking spent, cut them off. New ones will appear. 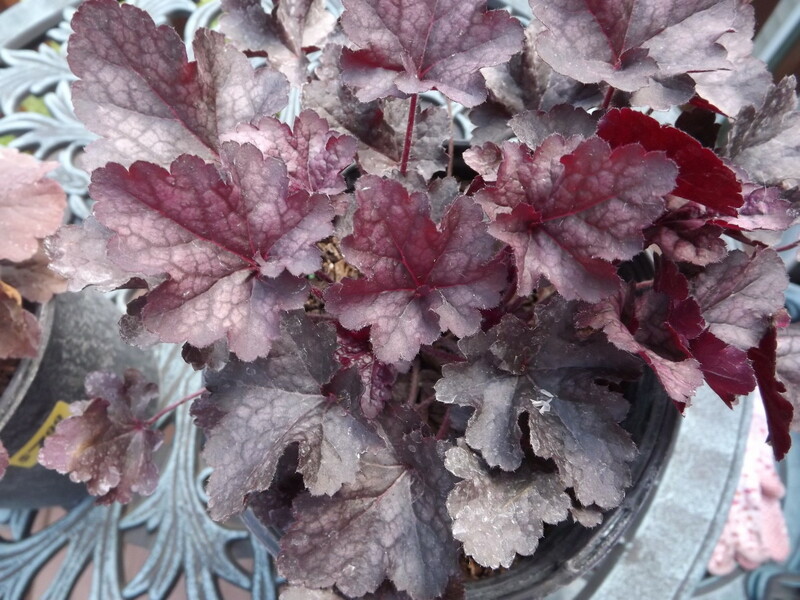 Insects aren't much of a problem with heuchera, but there are a few that do. Deer do find the leaves tasty, so if you live in an area where this is a problem, use deer repellent or fence in the area. Rust can be a problem in humid or extra damp areas. 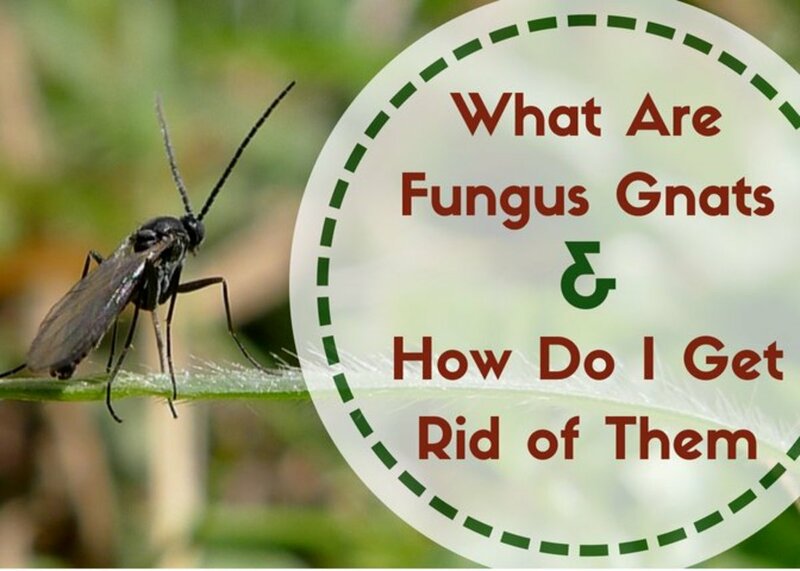 It is a fungus and causes pustules on the bottom of the leaf and an indentation on the top. Proper watering can solve the problem. Don't allow the leaves to get wet. Be sure that the plants have good air circulation. Give them more room if they are growing close to each other. Heuchera rarely reseeds itself. If it does and the plant is one of the newer hybrids, it won't be true to form anyways. The best way to propogate the plant is by division. 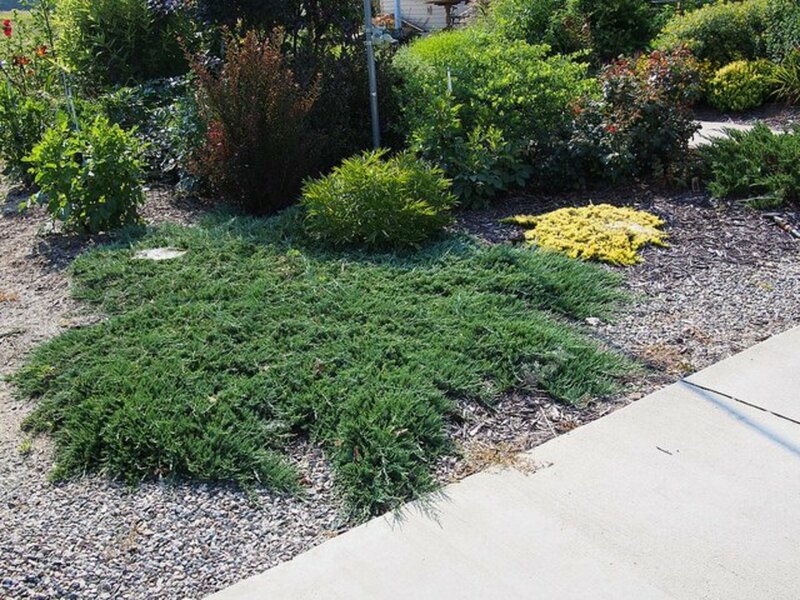 Divide the plants every 3 to 4 years or when they are getting large. Just dig it up and use a knife and cut it in half and then replant. Don't forget to work up the soil and use fertilizer, so the new plant does well. Now you''ll have another plant for your garden or to share. Nell Rose, I hope your partner did buy some for you. Thanks for commenting. Thanks again Barbara, I spotted this and I believe my partner has just bought some to put on our balcony! so, fingers crossed! still love this hub! lol! Nell, The flowers aren't much to speak about, but the leaves keep their color all year until they die down in the winter. An extra plus is that hummingbirds love them. Thanks for reading. Hi, I love these plants but never knew that they were called Coral Bells! its the leaves that are amazing, fascinating read, now I want some for my balcony garden! lol! pstraubie48, Thanks for reading. The coral bells aren't much to speak of for the flowers themselves, but the leaves of some of them are beautiful when others aren't blooming. Plants and growing things are a favorite way to spend a day. I do not have any of these in my yard but this hub has encouraged me to give it a try. 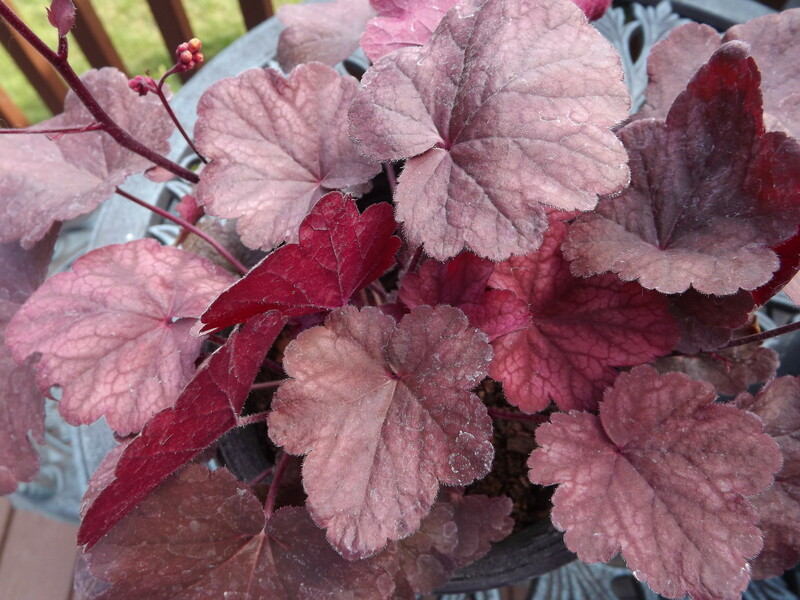 peachpurple, Coral bells are a type of flower, so yes you can grow them. You really can grow corals? ologsinquito, I don't have that one myself yet. I am going to try to collect more this year. I don't have a yellow yet either, so hope I find one on sale. Thanks for voting it up and sharing. The Green Spice Heuchera are very pretty. I see them a lot in garden stores and in the garden departments of some of the big box stores. Voted up and shared. aviannovice, Thanks for reading the hub. I like them too. These are pretty. I like the variegated ones the best. tirelesstraveler, I have grown these for years myself and I always knew them as coral bells. Once I started collecting different colors, I noticed on the tag of one of them what the real name was. All old time gardeners call them coral bells. Thanks for reading and I am happy I solved the mystery for you. You have solved the mystery. Quite awhile ago I was walking when I noticed an elderly gentleman tending flowers I really liked. My grandmother had grown them and I hadn't seen them in a long time. He told me they were Coral Bells. I have looked for them and not find them. RT Talloni, Thanks for reading. I hadn't thought about comparing them to coleus, but yes in a way they are a lot alike. Susi10, Thanks for reading. They are a plant I am into right now, because of their color. Thanks for sharing and voting up. Having lived in Florida I am still learning about plants for the Carolinas. Back home, coleus was a staple with its showy leaves in so many color varieties, but it just can't make it in these frigid winters. ;) I know true northerners laugh at that, but to me… Anyway, I've been learning about heuchera in the last year or two and have decided that they are my new coleus! Last fall I planted some in two large planters (purchased from a local nursery) and they have made it through this winter with flying colors--literally. Glad to read more about them here! Spring is almost here and I am thinking of what to plant this year. Heuchera sounds and looks like a beautiful and unique plant. I might try it out this year. Thanks for such a great hub, I enjoyed it! Shared and voted up +++. calculus-geometry, Thanks for reading the hub. Since it is a perennial plant, I'm not surprised it didn't work in the house. I hope you have some now. I love coral bells. I tried to keep one as a house plant when we didn't have a yard, but it didn't turn out too well. FlourishAnyway, Thank you for the compliment. Beautiful and so well done! I can't wait until springtime. Thanks for reading Bill. I can't wait for spring myself. Great information about a plant I have never heard of. Now you've got me thinking as spring approaches. Thanks!